Well it won’t be gone tomorrow…it will take several treatments but laser hair removal is a wonderful option. 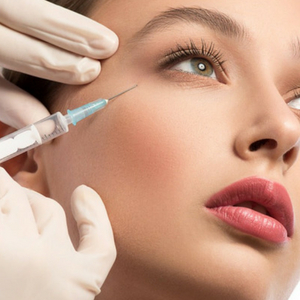 Both men and women have loved having unwanted hair permanently reduced. It works best if your skin is light and the hair is dark but there are treatment setting that can make it safe for people with olive skin tones! 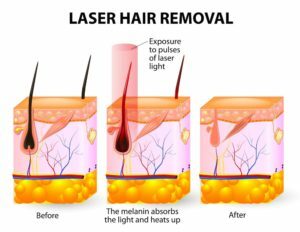 Laser hair removal can take up to 6-8 treatments but most people notice a difference after the first treatment! We have wonderful package choices with monthly payment options or buy 5 treatments and get the 6th free. Hair growth has many factors that influence its growth but when you lessen the amount of hair in unwanted places like along the bathing suit line or facial hair it gives patients such freedom and a boost in self confidence. They are no longer worried about shaving bumps or a missed long hair. 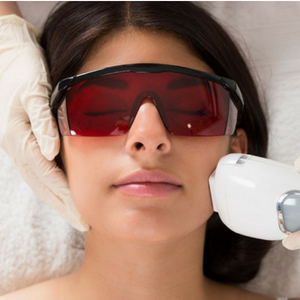 With summer on the horizon now is the perfect time to start your hair removal treatments!